My inbox has been very active of late, with submissions to this week’s Carnival of Education. Carnival at Annandale, Virginia made available on flickr via a CC license. Click on image to view source. Why Tests Are Essential posted at the evolving mind. Marissa’s Guitar posted at Listen and Learn. She even offers to send you a copy of the story if you contact her. Great stuff! Dealing With Frustration – The Spaghetti and Marshmallow Towers posted at Nucleus Learning. Can a computer lecture better than a human? posted at Dangerously Irrelevant. There are many dimensions to this question, go take a look! More Free Math Resources posted at Let’s Play Math!. As a first time math teacher (I usually teach English, History, and Ethics) I’ve subscribed to the site! Emotional Intelligence posted at Kids Love Learning. Take Control of Your Continuing Education posted at Skyler Reep’s Blog. Moldy bagels posted at Andrea’s Buzzing About:. Don Cameron is Mad About Science posted at Steve Spangler’s Blog. — OKP has an existential crisis and asks, What do you think is the purpose of high school? Existential Crisis #1 posted at Line 46. Black Market Private Schooling in the Third World posted at Jay P. Greene’s Blog. Makes me want to think of alternatives to some of our own public school crises and reminds me that it needs to take a village, not a commission or board, to raise a child. Should You Pay for Your Children’s College? posted at The Money Answer Guy. Preparing for a Substitute posted at Successful Teaching. ?Hit a Jew? Day – Oh joy. posted at tweenteacher.com. Your Comprehensive Guide to the MBTI (Myers-Briggs Type Indicator) Personality Test posted at I Will Not Die. ASCD Inservice: America’s Next Top Ed. Sec. : Sebelius? posted at ASCD Inservice. Horseback Riding and Writing posted at The Life Without School Community Blog. Scanners, Mowing Lawns & Things You Just Shouldn’t Learn How To Do posted at Bellringers. The Blameless. Part 3: The Afflicted posted at Scenes From The Battleground. One Vote Samba posted at Teacher in a Strange Land. K12 Online: Week One Review posted at Creating Lifelong Learners. Great Carnival, Tracy. Big points for the way-cool photo, and thanks for weeding out the commercial/off-topic stuff. Hope you feel better. Nancy Flanagans last blog post at [site]..In Schools We Trust? I love the Carnival b/c I get to learn about new websites I didn’t know about before. Thanks for including me in the carnival! That is what’s so great about it! I learn about new people and ideas each time I read one. Steve Spanglers last blog post at [site]..Spangler Science Ambassador Makes a Huge Mess in Minnesota! Congratulations on hosting such a successful carnival. I appreciate the introduction to all the interesting blogs and articles. Thanks so much. Great Carnival Tracy! Thanks for including my post! Trisha Wagners last blog post at [site]..Write My Resume or Move Furniture? 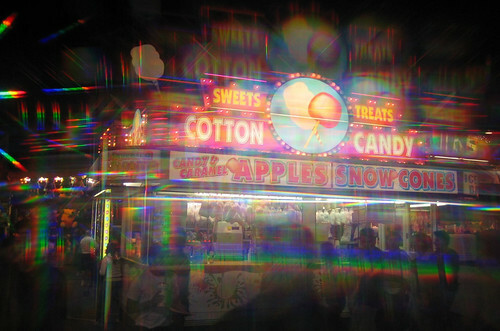 @ Steve, Amanda, Elona, and Trisha – thanks for stopping by and looking through the carnival. I really enjoyed reading the posts that were sent to me this week, I hope you did as well. Thank goodness. I thought I was the only one who was getting spammed with those silly term paper sales submissions. I hosted last week and must have deleted 8 of them. And then four more that was trying to sell something else entirely (I forget now). My test was whether I could load the page on my school’s network. It blocks term paper sales sites and other such things. But just wanted to applaud you for your keen attention to detail to keep those guys out of our carnival. Thank you for a great carnival! I really enjoyed the articles you listed and learned so much! I too appreciate the editing of the commercial stuff since I really hate to waste time! Thanks for taking time to put all this together and some day when I get brave enough, I may offer to host this.